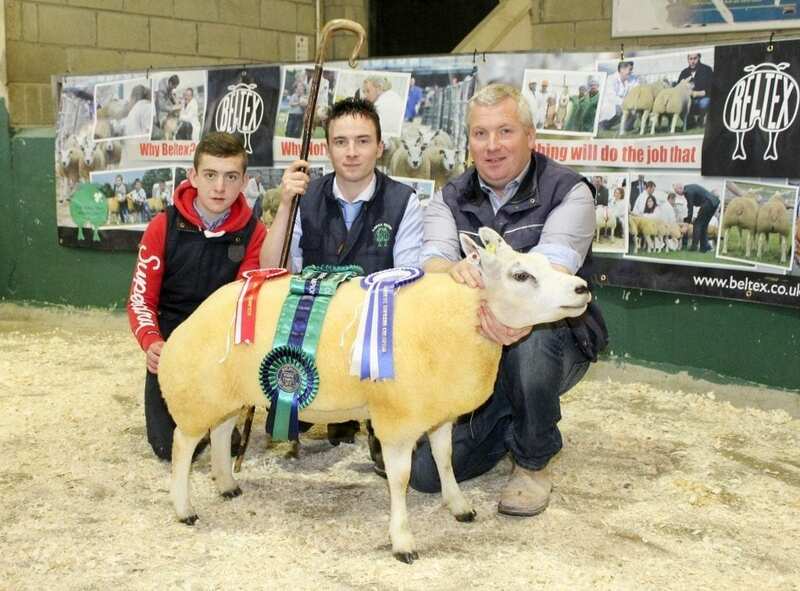 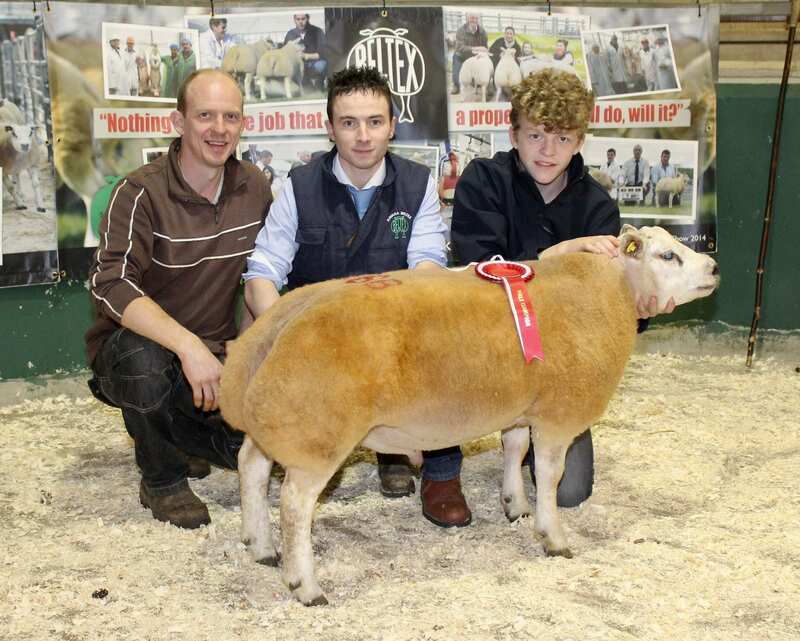 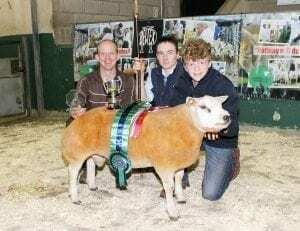 Eddie and Ciaran O’Neill with Lagyveagh Barbie, Lot 31, the Reserve Champion and judge, Ryan Murray. 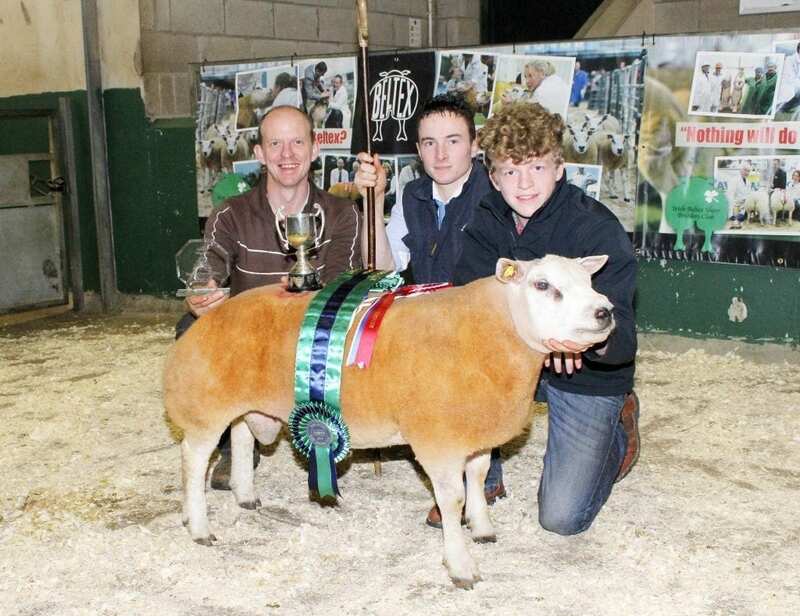 Andrew and Jamie McCutcheon with their Show Champion, Bodoney Cowboy, Lot 26B and judge, Ryan Murray. 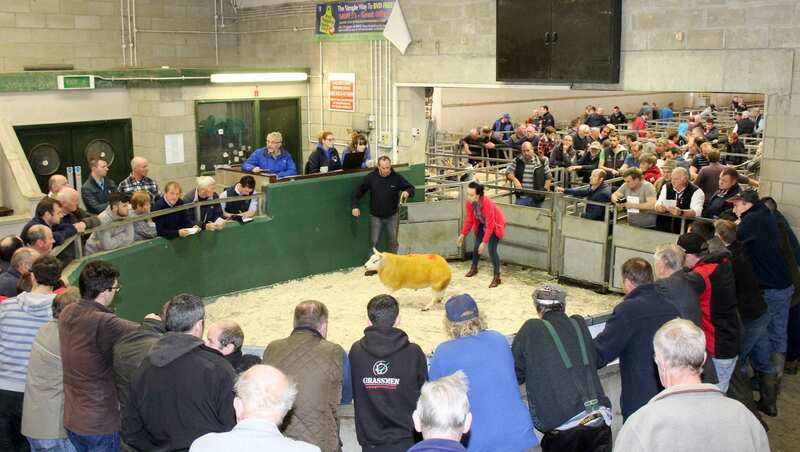 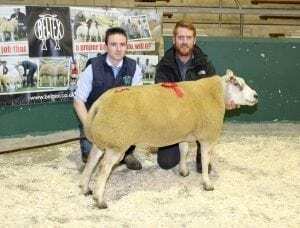 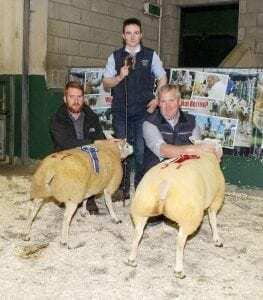 Eddie O’Neill with Shearling Ewe class winner, Female Champion and Reserve Champion, Lagyveagh Barbie, Lot 31 and Patrick Brolly with Munreary Big Bum, Lot 27, Reserve Female Champion. 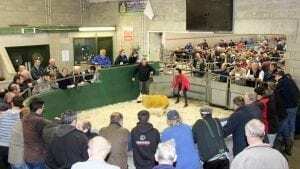 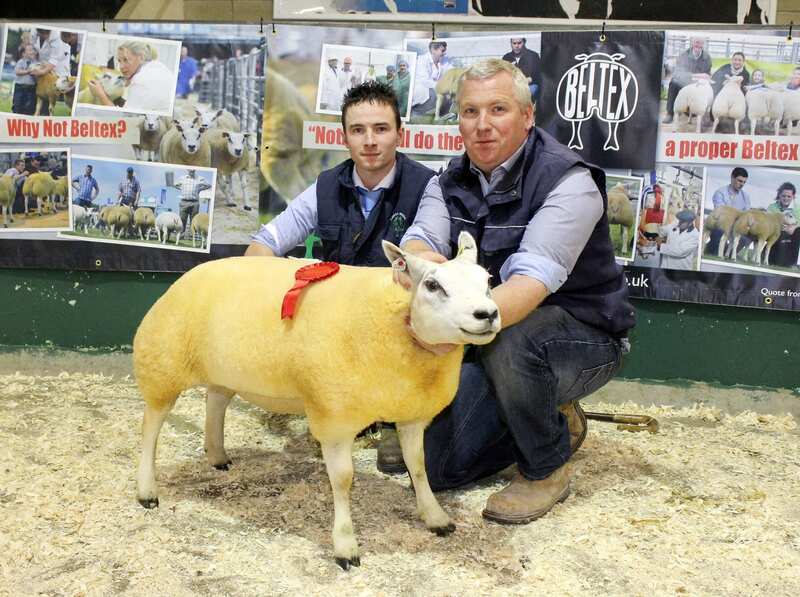 Patrick Brolly, right and judge, Ryan Murray with Class1 Shearling Ram winner, Munreary Berlin, Lot 13. Jamie McCutcheon, right, with Andrew and Jamie McCutcheon’s Ram Lamb Class winner, Bodoney Cowboy, Lot 26B and judge Ryan Murray. 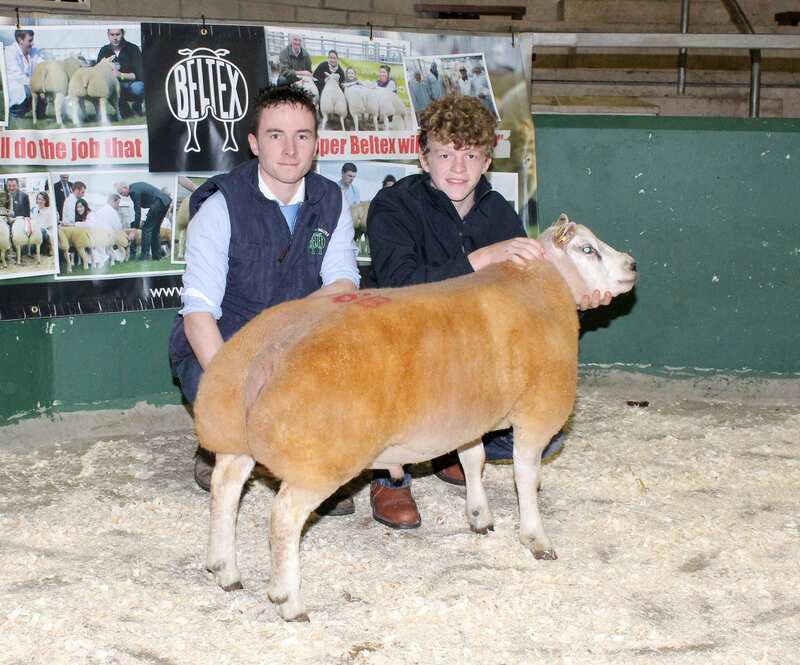 Bodoney Cowboy went on to take both the Male and the Supreme Champion title.